LADY-DIRECTED DECEMBER #7: Tomboy (2011) – dir. Céline Sciamma | Films Like Dreams, Etc. One of the most damaging misconceptions about transgenderism (among the many) is the notion that the individual is a “man dressed in woman’s clothes” or vice versa. Not only does this reinforce the common notion of a gender binary, thereby erasing non-binary and genderqueer people; it also completely ignores the beautiful complexities that come with a person identifying as trans. As a cisgender female, I have the privilege of always being certain that I’ll be read as such with nearly every interaction I make everyday. Sure, certain aspects of my appearance do get me misgendered from time to time, but these misunderstandings are minuscule compared to the toxicity of the transphobia faced by people who work outside the conventions of maleness and femaleness. 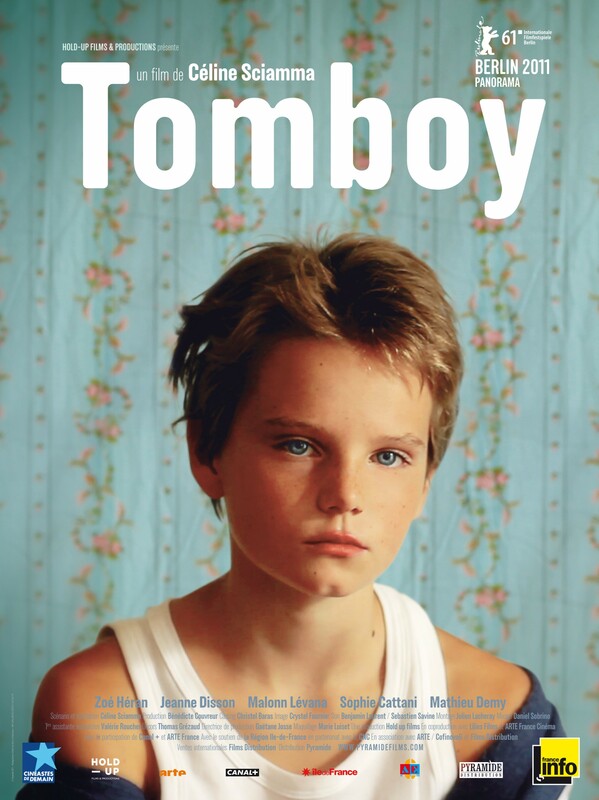 Rarely do I see such complexities handled as delicately in cinema as I have with Céline Sciamma’s Tomboy, which focuses on a young trans-boy whose descent into adolescence coincides with his coming into being as trans. What intrigued me from the beginning was how naturally the film portrayed the very trivial moments he spends with members of his family. His mother, father, and younger sister continue to read him as their sister/daughter Laure – despite his decidedly masculine appearance – yet this fact isn’t revealed to us until much later. The picture we are shown is one of a happy, loving family, one that may be a surefire possibility for trans folks if people were only more accepting and less hateful toward issues of gender identity. Although this image becomes shattered during the latter parts of the film, such instances serve as a helpful reminder that the refusal to subjugate oneself toward an unwanted gender role should never be grounds for condemnation. 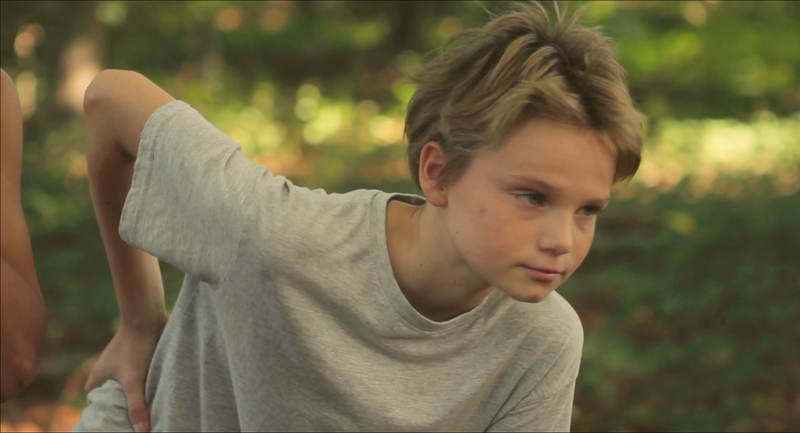 Tomboy truly starts to get interesting during the scenes where our young protagonist, exploring a new neighborhood, begins to make friends with a group of other young (cisgender) boys. He introduces himself as Mikäel and works to make himself a part of these new potential friendships. What is most intriguing about these scenes are that they really demonstrate the seemingly inherent amount of competition that permeates through masculine development from when they’re as young as preteens. From sports competitions, to shows of strength, to peeing together as a ritual, every activity done between the boys seem to serve as a competitive show of masculinity. Occupying Mikäel’s position in such situations, therefore, is tense and nerve-wracking, since unlike his comrades he does not identity with the gender with which he was born. His attempts at blending in with these otherwise-uniform experiences are always punctuated by struggle, in both the unique way as a trans person and with the universal adolescent need to be wanted and accepted. As I mentioned before, there aren’t very many films out there that so bravely present the topic of transgenderism with a similar amount of realistic care and sensitivity toward the individual. Part of this is due to the wonderful performance by Zoé Héran, truly deserving to be ranked among the greatest child performances in cinema. From the adorable moments spent with his young sister, to his first experience kissing a girl he fancies, to the private moments where he observes his body in the bathroom mirror, Héran completely delves herself into her representation of Mikäel and the results are marvelous. Momentarily setting aside the inherent issues with casting a cis person to play one who is trans, her warm, heartbreaking performance works very well to string together the narrative into the work of art that it is. Tomboy is told almost entirely through the eyes of Mikäel, which is partially why it is so devastating when the seeds of bigotry and close-mindedness begin to bloom. While his father and sister seem relatively accepting of his identity, his relationship with his mother is a strained one seen far too many times in narratives and real lives. When confronted with her child’s maleness, she remains completely in denial and, in the film’s climax, even tries negative reinforcement in attempts to “change him back” (the fact that she, pregnant, refers to her unborn child with male pronouns is very telling). Yet even in these instances, Tomboy succeeds in its unflinching realism, as even her tendencies of rejection are presented with compassion and concern for her character. It’s important that hate against the marginalized is presented not as something distinctly monstrous, but as something of which anyone can be capable; in such respects, Tomboy is triumphant. Overall, Sciamma’s film works brilliantly as both a coming-of-age tale and a exploration of the complexities of gender rarely covered by mainstream cinema. In the little moments of Mikäel’s triumph, it is sweet and wondrous; in his setbacks, it is fully heart-wrenching. Just as much as anything else, it’s got me fully anticipating seeking out more films from the writer-director. She seems to be one of the lesser-recognized lady directors out there, and from the looks of Tomboy alone, this seems an unfortunate crime that should certainly be remedied. This entry was posted in Lady-Directed December, Reviews and tagged 2010's, Celine Sciamma, French, Lady-Directed December, Tomboy. Bookmark the permalink.